Kayaking is one of the most popular outdoor sporting activities in the world but it can often be somewhat challenging for avid kayakers to find new and exciting locations to enjoy their favorite pastime. So if you are a kayaking enthusiast and have been looking for a new and exciting place to enjoy this adrenaline-soaked activity, look no further than the rivers and waterways of Greenland. There are several places throughout the country of Greenland that are absolutely fantastic for kayaking. Many of the most popular ones, however, can be found in South Greenland. This region offers kayakers the best in scenic natural beauty and ideal paddling conditions. Whether you are kayaking or just visiting the country as a walking tourist, Greenland is one of the world's most naturally beautiful travel destinations. But those who head there for a kayaking adventure can rest assured knowing that they will not be disappointed. The southern Greenland fjord system is one of the most extensive waterways in the country. As such, it is an ideal location for kayaking and the surrounding Alpine mountains and icebergs along the Tasermiut fjord provide stunningly beautiful scenery that will take your breath away. The Qinngua and Kloster Valleys are among the most amazing areas in the country for all manner of outdoor sports and 4000-foot Sermeq Glacier is the beautiful and majestic endpoint of many of the guided kayaking expeditions that are available in the region. One of the most important things to keep in mind about kayaking in Greenland is that it is a very different experience from kayaing in the United States. The main reason for this is the difference in temperature. Kayaking in the southern part of the country means that you will experience temperatures that barely get above 40 degrees Fahrenheit. The Eastern part of the country is even colder with temperatures hovering between 34 and 37 degrees Fahrenheit. 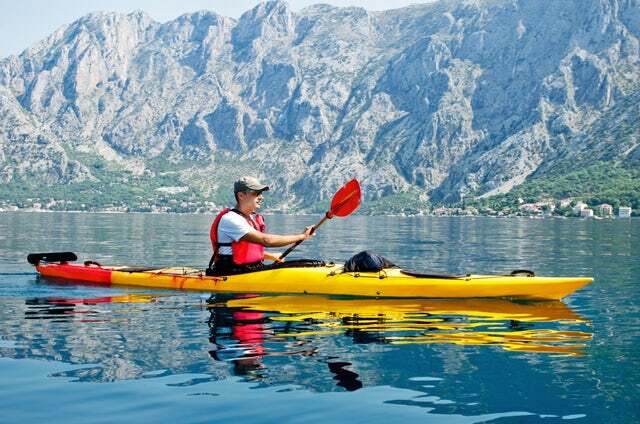 But no matter where you go you are assured of seeing some of the most breathtaking natural beauty you are likely to see in your entire lifetime on some of the best waters for kayaking anywhere. You can certainly find plenty of places in the world to have a great kayaking adventure if you look hard enough. But you are not likely to find any as exciting or memorable as those that can be found in Greenland.